This immaculate home in cool Kakela Makai is an inspiration in its simplicity and should not be missed. 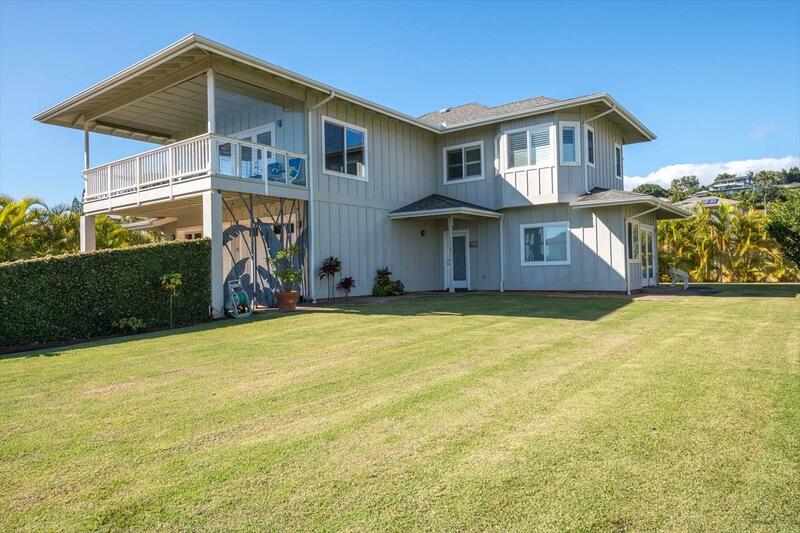 The welcoming entry foyer leads upstairs to an open kitchen, living and dining area, which are all focused toward the oceanview lanai. The kitchen renovation of newer granite countertops and tile backsplash blends together nicely with the solid wood cabinetry, a slate bar top and matching slate flooring. The remainder of the upper level includes a guest bedroom, a full guest bathroom and finally the Master suite. The Master suite has a bay window reading nook and a large walk-in closet with its own washer and dryer. The lower level with the remaining 2-bedrooms and den includes a full bathroom, and separate laundry room. With its own private entry, this area could be used as a separate space for guests or extended family. The beautifully groomed yard has been planted with a hybrid Maui zoysia grass. 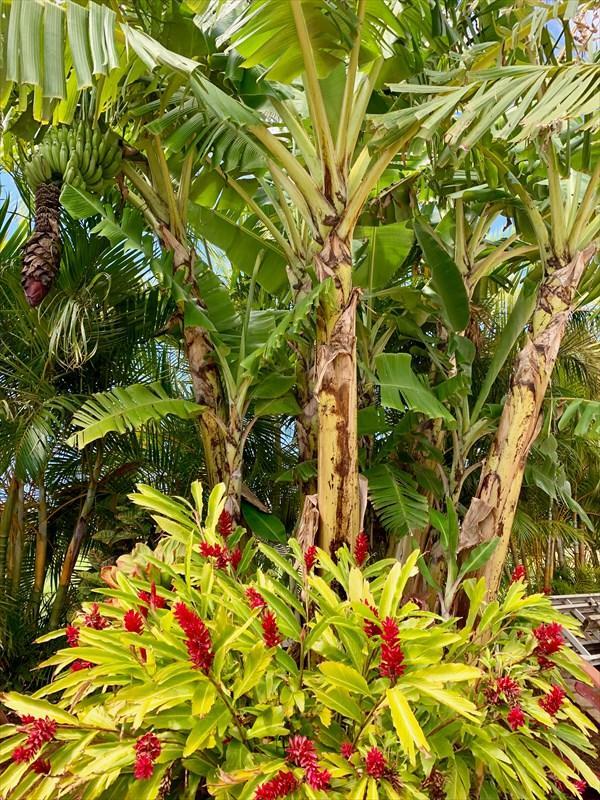 There are maturing fruit trees, a hibiscus hedge, Areca palm trees and an attractive block garden in the front yard with banana trees, and other tropical plantings. Kakela Makai Subdivision offers a private community pool, hot tub and exercise room for your enjoyment. 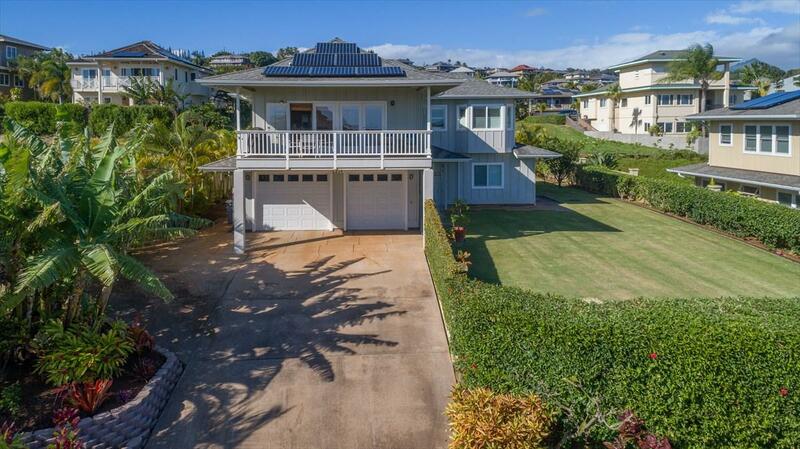 Close to Kalaheo town, Kukuiolono gardens and golf course and Poipu for world class beaches, shopping, and dining. Special Features and Upgrades Include:* The exterior of the home completely re-painted, February 2019. * 9' ceilings throughout. * Bamboo flooring throughout main upper living areas with slate in the bathrooms and kitchen. * All three bathrooms have spa tubs. * Both levels have a washer and dryer. 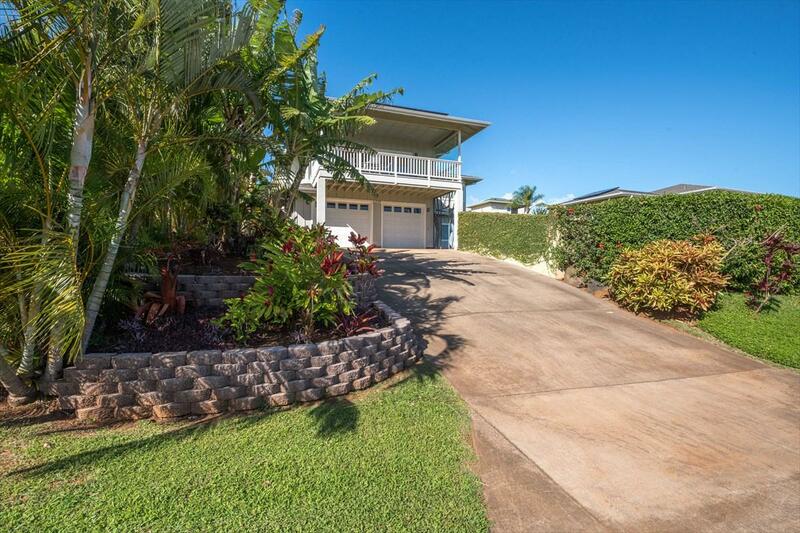 * Lanai has a tempered glass and Jalousie "wall" on the east side, which acts a windbreak. * Newer flooring on lower level includes tile in the entry foyer and down the hall. * Decorative entry gate. * Lawn sprinkler system. * 13-panel photovoltaic system. * Ivy-covered retaining wall to maximize privacy. * $72K in upgrades in the last 5-years.